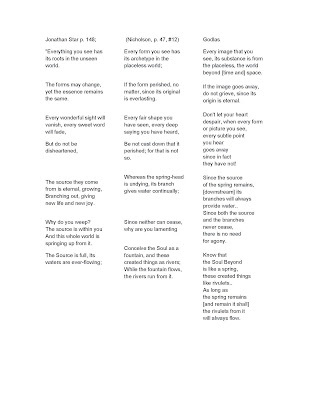 About a week ago a popular translation of a poem of Rumi's was making the rounds. I wanted to find the original Persian, so I had to find the source of the translation first. Fortunately, I was able to find the source. In a more recent FB posting, I have now described the trail I followed. What I am including here is the popular translation, followed by the Persian, which I have in turn followed by Nicholson's 1898 translation, which was the source of the popular translation by Star and Shiva. And this whole world is springing up from it." (Translation by Jonathan Star and Sharam Shiva). After this posting, in a separate message, I have now posted Star and Shiva's translation, Nicholson's translation, and my own translation, side by side so that readers can compare them easily. Below is the Persian and Nicholson's translation. Jonathan Star stated that he based his translation of this poem on Nicholson's translation in the latter's Divani Shamsi Tabrizi, #12, the Persian text and the translation of which goes from pp. 46-49 (published first in 1898). The English posted above is about a third of Star's translation (and a third of the whole poem). Be not cast down that it perished; for that is not so. See my translation and the others, side-by-side, in my subsequent, more recent posting. 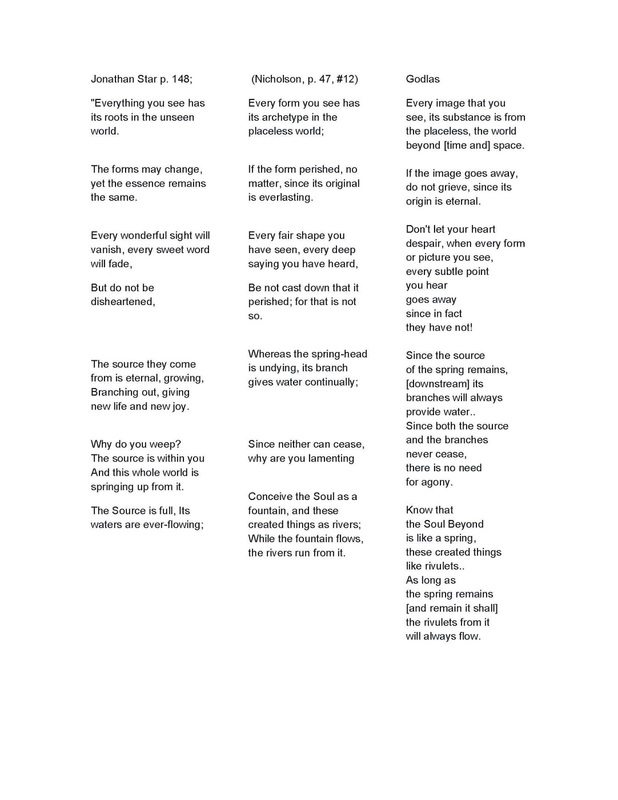 Note that this poem is not in the authoritative critical edition of Rumi's Divan-e Shams-e Tabrizi. So it may not actually be by Rumi. On the other hand, he might have written it.